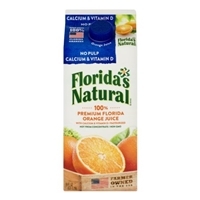 Pasteurized orange juice, tricalcium citrate (calcium source) (ingredient not found in regular orange juice) and vitamin d3 (ingredient not found in regular orange juice).protected by tamper-evident seal. Do not use if seal is broken. 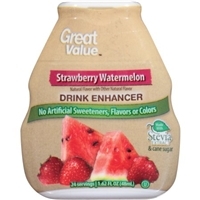 Filtered water, organic white grape juice from concentrate, organic strawberry juice from concentrate, organic watermelon juice from concentrate, natural flavors, ascorbic acid (vitamin c), organic natural flavors, citric acid. Gluten free. 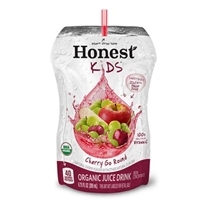 Apple, grape, and cherry juices from concentrate (water, apple, cherry and grape juice concentrates), citric acid (for tartness), natural flavor.do not drink if pouch is leaking, damaged, or swollen as fermentation can occur. 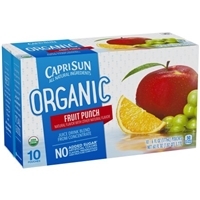 Filtered water, organic white grape juice concentrate, organic apple juice concentrate, citric acid, organic orange juice concentrate, ascorbic acid (vitamin c), natural flavor.do not drink if pouch is leaking, damaged, or swollen as fermentation can occur. NOTHING LESS THAN THE CHERRY BEST. 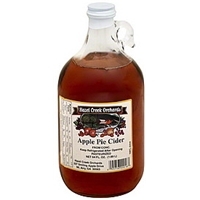 FILTERED WATER, ORGANIC APPLE JUICE FROM CONCENTRATE, ORGANIC WHITE GRAPE JUICE FROM CONCENTRATE, ORGANIC CHERRY JUICE FROM CONCENTRATE, NATURAL FLAVORS, CITRIC ACID (PROVIDES TARTNESS), VITAMIN C (ASCORBIC ACID), ORGANIC NATURAL FLAVOR. R.W. 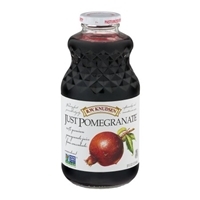 KNUDSEN FAMILYâ„¢ JUST POMEGRANATEâ„¢ JUICE. 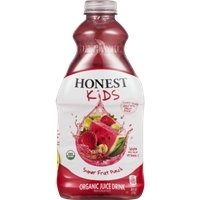 100% PREMIUM POMEGRANATE JUICE FROM CONCENTRATE. UNSWEETENED. 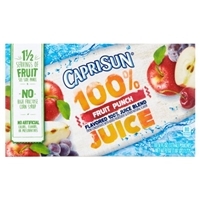 PRODUCING FRUIT JUICES WITH INTEGRITY, CRAFTSMANSHIP, AND INNOVATION SINCE 1961. 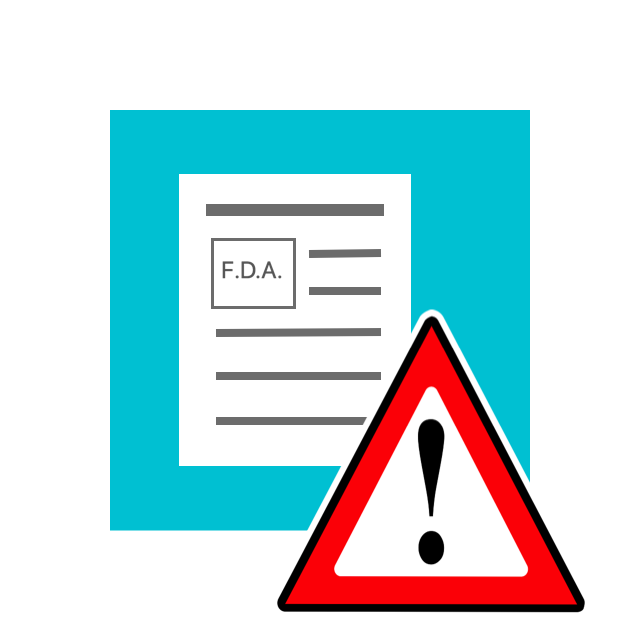 PASTEURIZED FOR YOUR SAFETY. Brand/Manufacturer: R.W. Knudsen Knudsen & Sons, Inc.
Filtered water (sufficient to reconstitute), pomegranate juice concentrate.safety button pops us when seal is broken. 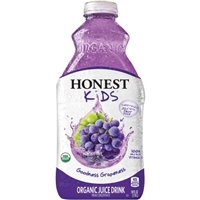 Contains: high fructose corn syrup, water, grape juice from concentrate, orange juice from concentrate, lime juice from concentrate, lemon juice from concentrate, sweet cherry juice from concentrate, pomegranate juice from concentrate, citric acid, sugar, fruit and vegetables juices for color, natural flavors, sodium benzoate, potassium sorbate. 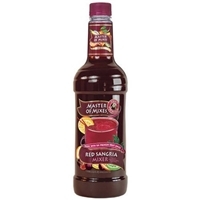 Filtered water, organic grape juice from concentrate, organic concord grape juice from concentrate, natural flavors, ascorbic add (vitamin c), fruit and vegetable juice (for color), organic natural flavors, tartaric acid. Gluten free. 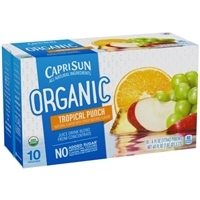 Filtered water, organic white grape juice concentrate, organic apple juice concentrate, organic orange juice concentrate, organic pineapple juice concentrate, citric acid, ascorbic acid (vitamin c), natural flavor.do not drink if pouch is leaking, damaged, or swollen as fermentation can occur. 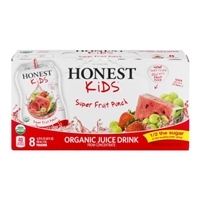 Filtered water, organic white grape juice from concentrate, organic strawberry juice from concentrate, organic watermelon juice from concentrate, natural flavors, vegetable juice (for color), ascorbic acid (vitamin c), organic natural flavors, citric acid. Gluten free. Brand/Manufacturer: R.W. 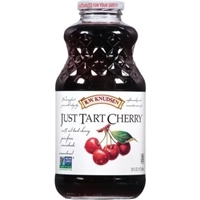 Knudsen Family Knudsen & Sons, Inc.
Filtered Water, (Sufficient To Reconstitute), Red Tart Cherry Juice Concentrate. 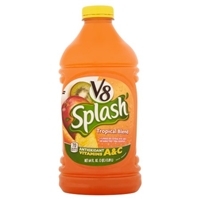 Brand/Manufacturer: V8 Splash Campbell Soup Co.
Water, high fructose corn syrup, reconstituted vegetable juice (water and concentrated juice of carrots), reconstituted fruit juice (water and concentrated juice of apples, pineapples, kiwis, limes), contains less than 2% of: malic acid, natural flavoring, mango puree, vitamin c (ascorbic acid), sucralose. Gluten free.do not purchase unless cap and neckband are intact. CANE SUGAR, WATER, NATURAL FLAVOR, GLYCERIN, MALIC ACID, STEVIA EXTRACT (SWEETENER), SODIUM CITRATE, LESS THAN 2% POTASSIUM CITRATE, SALT. 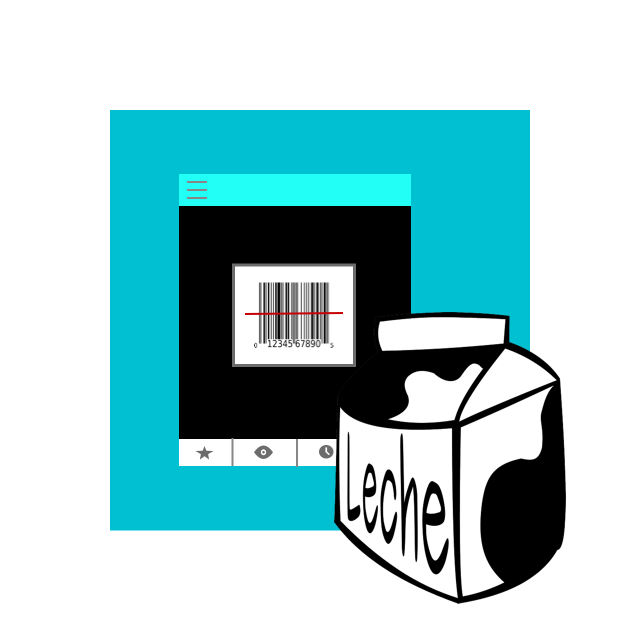 Water, apple conc. And cinnamon & cloves. APPLE JUICE, CELERY JUICE, CUCUMBER JUICE, KALE JUICE, COLLARD GREENS JUICE, LEMON JUICE, TEA (PURIFIED WATER, PEPPERMINT TEA LEAF, SPEARMINT TEA LEAF), SPINACH JUICE, GINGER JUICE, SPIRULINA POWDER, CHLORELLA POWDER, BARLEY GRASS POWDER, ALFALFA GRASS POWDER.